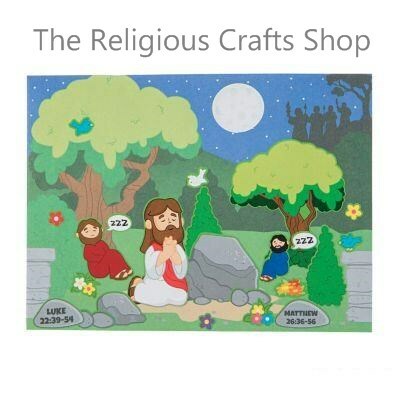 Easter Pack of Jesus Praying Sticker Scene. This is an ideal addition to Sunday School supplies and Holy Week activities. These scenes allow younger children to create their own vision of Jesus praying in the garden while his closest friends slept. Includes 12 sticker sheets and 12 backgrounds. Finished scene measures 16cm by 12cm.